What is the Sheldon Scale of Coin Grading? The Sheldon Scale is a 70-point scale for grading coins, developed by Dr. William Sheldon in 1949. A slightly modified form of the Sheldon Scale has become the de facto standard for grading U.S. coins today and is used by the major third party grading services when assigning a grade to a coin. The adjectival grading system was the predecessor to today's 70-point grading scale. This grading methodology uses such terms as Good, Excellent, Brilliant, Fine, Superb, etc. Unfortunately, there were no standard definitions associated with each word. Therefore, what one coin dealer may call Superb another coin dealer may call Excellent. This grading methodology led to much confusion throughout the coin collecting hobby. The adjectival terms are used today in combination with the Sheldon Scale to help clarify the numeric equivalent. The type of coin is barely discernible, but little else, due to the coin being severely damaged or worn smooth. Sometimes only an expert numismatist can discern what the coin is because it is so badly worn. Type and date are barely discernible, and the coin is damaged or extremely worn. However, major details make the coin easily identifiable. Type and date are discernible, although some spots may be worn out. Some lettering should be apparent, if not necessarily readable. Primary devices and features are evident as outlines. Although the coin overall is heavily worn. The coin has a full rim, major devices are easily identified, and features are clearly outlined. The coin is heavily worn but easily identifiable. Full rim with clearly discernible devices and features. Most legends are readable clearly, but the whole coin is still significantly worn. Distinct rim, all legends readable, clear devices showing some detail, but the whole coin is moderately, but evenly worn. Clearly readable but lightly worn legends, devices show good detail, rims are clean, but the whole coin shows moderate wear on the high points and a little wear below. Legends are clear, and devices show all detail with little wear. The high points of the coin's design are lightly worn. Legends are sharp, and devices are clear with slight but obvious wear on only the high points. The coin is free from major bag marks due to mishandling during production. Legends and devices are clear and sharp, with slight wear on the high points, and great eye appeal. Sharp legends and devices show only a trace of wear on the highest points. There must be some remaining mint luster. Sharp legends and devices show only a hint of wear on the high points. Remaining mint luster must be at least half in the coin should have excellent eye appeal. Virtually uncirculated, except for minor wear marks on high points. Nearly all mint luster must be present and must have outstanding eye appeal. Coins in this grade show no signs of wear from circulation, but they are ugly, dinged-up, bag-marked, ill-toned specimens, but they are in mint condition and free of any wear! The grades from MS-60 to MS-70, as well as the Proof designations, are all based primarily on eye appeal, quality of luster and/or toning, and the presence or absence of contact marks, hairlines, etc. All coins MS-60 and higher are Mint State coins. It is worth noting that Proof is not a grade, but a type of coin. Why 70 Points Instead of 100? Dr. Sheldon created his grading scale based on research that he did to compare the price of a coin to its grade. 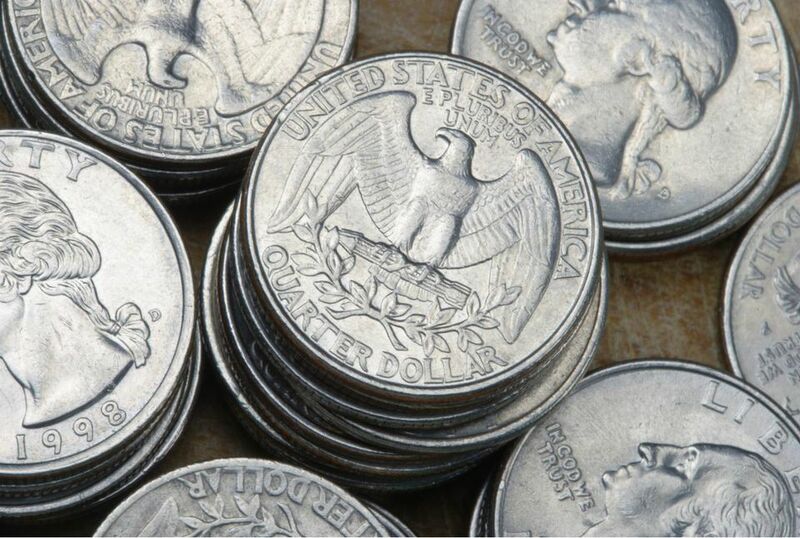 As he gathered this information on half cents and large cents, he concluded that on the average an uncirculated coin (MS-70) sold for 70 times more than a coin that was barely identifiable (Poor-1). Unfortunately, this did not hold true for all half cents and large cents. Additionally, there was more variation with other coin types beyond half cents a large cents. However, the idea was revolutionary, and it took hold in the mid-1980s with the advent of third party grading services. The Whitman publishing company first teamed up with the American Numismatic Association (ANA) in 1977 to help bring standardization to the coin collecting hobby's non-standard and non-scientific practice of coin grading. The idea for this book began in 1973 when Virginia Culver, president of the American Numismatic Association started the process to solve the grading dilemma. Previous to the publication of this book, there were as many different terms to describe a coin as there were coin dealers. Under the guidance of Kenneth E. Bressett and his associate Neil Schaefer, with contributions from Q. David Bowers, coin grading was brought to a new level of consistency. What is The Grade or Condition of My Susan B. Anthony Dollars?